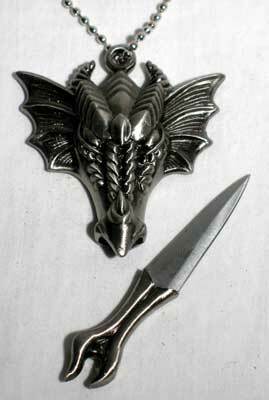 A hidden athame hidden within a fierce dragon head. Wear it around your neck and keep the ferocity of a dragon close to your heart. With chain. (Can not ship to MA or CA) 3 1/4" - 1 1/2" blade.